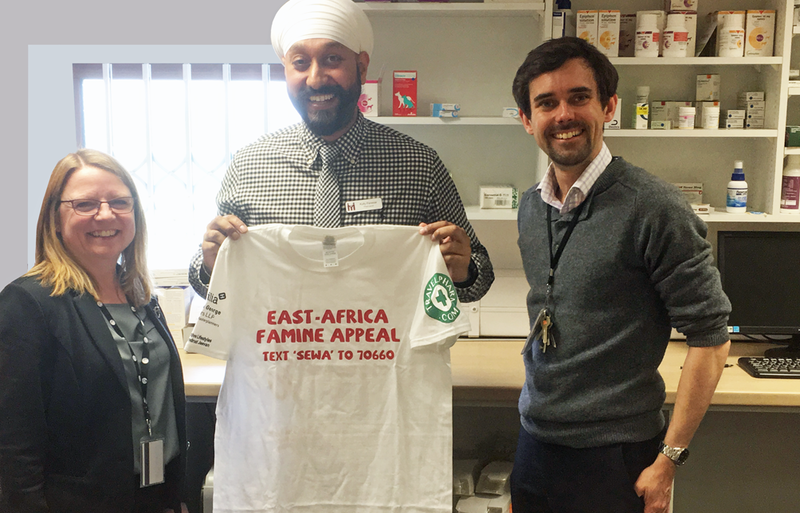 Travelpharm is proudly helping to sponsor and support the East Africa Famine Appeal. The Nairobi Sangat have already reached out to remote villages and provided 30 tonnes of supplies in April (2017) to provide food, water and aid to those who are in need. FurthermoreA team of UK Sewadaars have kindly come forward and are going to be travelling to Kenya to work alongside the team of Sewadaars in Nairobi. The main aim is to deliver 30 tonnes of food and water to the affected areas as well as looking into self-sustainable solutions. These solutions include; bore holes, water purification filter systems and fresh water pumps. Ultimately the long term self-sustainable is the end goal and this can only be reached with your help. One of the Sewadaars heading over to help is Kulwant Panesar, a pharmacist from our sister company Manor Pharmacy. He will be helping locals to work towards a self-sustainable future. Travelpharm and our sister company, Manor Pharmacy, have helped this appeal in various different ways. First of all, our manager and pharmacist Andrew Walton (Travelpharm) has helped Kulwant with essential information and secured vital supplier donations. Our pharmacists over at Manor Pharmacy have also helped out with the appeal. In addition, Chris Pietryka (Manor Pharmacy, METT) has provided vaccination and private prescriptions. In addition to this, Amelia Hui (Manor Pharmacy, WETM) has provided all the vaccines for the appeal. We also want to say a big thank you to Alison Crompton (Manor Pharmacy, Head Office) who has helped to organise the donations. BACs Transfer: Sort Code: 30-64-10 Acc: 36084968 – Ref: EAFA, followed by your name. And remember, 100% of donations will go towards feeding families struck by famine in East Africa. Thak you for taking the time to check out this page and be sure to visit www.namdharisikhs.co.uk for more information.